One of the most exciting teams in the English Premier League this season is Liverpool FC. After taking over the team in 2012, the team manager, Brendan Rodgers, shaped Liverpool beautifully to play fast, open and attacking football. The result is that both of his strikers, Luis Suarez and Daniel Sturridge, are the two top goal scorers in the league this season and his team have a good chance of winning the title. in the same time, Liverpool are the firm favourites to finish among top three and directly qualify for the UEFA Champions League next season. Liverpool are now on a five game winning streak and are positioned second in the EPL tables, one point behind league leaders Chelsea. The Reds are two points ahead of the title favourites, Manchester City, who have two games in hand. With seven games to go for Liverpool, and a face to face meeting with Manchester City coming up on April 13th, things are looking promising at Anfield. There is a genuine belief that they can go all the way. 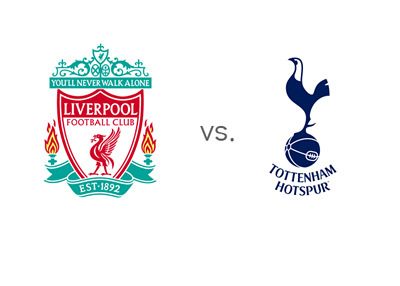 First things first, Liverpool host sixth place Tottenham on Sunday, March 30th, 2014, in what promises to be a great match! Earlier in the season, Liverpool humiliated the Spurs at White Hart Lane by beating them 0-5, which ultimately caused the firing of their coach Andre Villas-Boas. Tottenham have heavily re-invested the funds received from the sale of Gareth Bale to Real Madrid last summer, but have failed to find their groove this season. They most recently beat Southampton 3-2 at home in the league, after getting booted out of the UEFA Europa League round of 16 by Benfica, 5-3 on aggregate. For the remainder of the season, Tottenham will focus on the domestic league, where they are in a good position to qualify again for the Europa League. Can Luis Suarez & Co. continue their winning form and the very impressive charge towards the title? Let's see how things play out! The kick-off is at 4pm.